Wow! We received the most amazing effect this past week and were literally knocked back on our heels. It was tough getting it away from each other so that we could all test it out. But, let me tell you, WATCHED is an absolute killer! The watch works, so there is no heat on it after the effect. The handling is as easy as any magician could want. AND… The signed coin ends up under the crystal of the watch. Seriously, this is a reputation maker. You ask for a coin (quarter). You make your mark on one side and have an audience mark the other. Using your “favorite method” vanish the coin. The rest is up to you as to how you do the reveal. Trust me; the look of utter disbelief on the faces of the audience is truly priceless! You can perform WATCHED anywhere! Strolling, table hopping, close-up, platform, anywhere! This is ”real” magic. 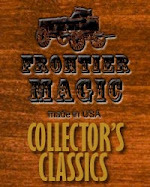 Previous versions of this effect have used watches that are gimmicked to the point that they are left as nothing more than a magic prop. This watch can be worn and used, as a working timepiece. 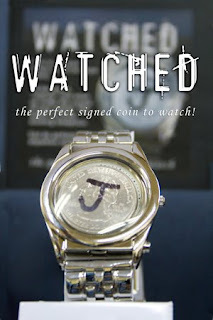 Beyond the coin to watch, the staff is working on other uses for this incredible watch. Keep check in to see what we have come up with for WATCHED.